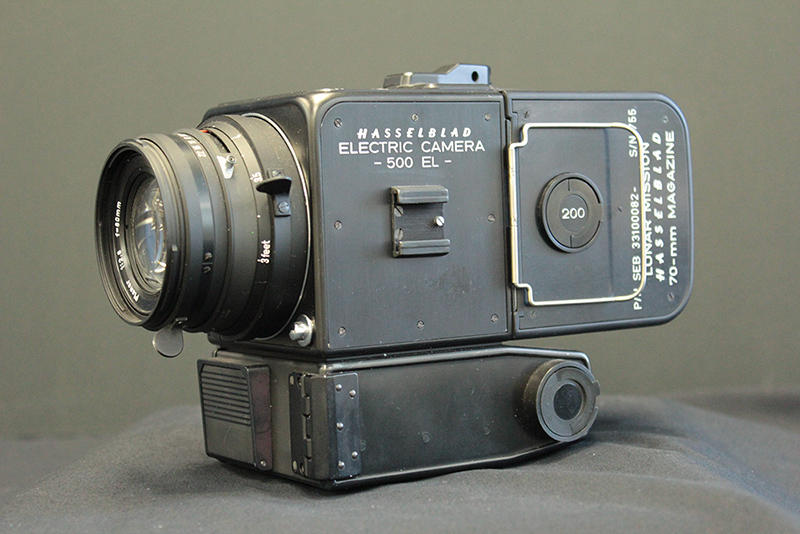 A hand-held Hasselblad Electric Camera (500 EL) used during training by the Apollo lunar astronauts. It has a 70-mm magazine and Zeiss Planar lens. The large format of the film it used provided excellent quality images and the camera's size made it easy for the astronauts to handle with the bulky gloves on their spacesuits. While digital photography has taken over these days, many astronauts still prefer the Hasselblad.